LOS ANGELES (CelebrityAccess) — CAA managing partner David "Doc" O`Connor is leaving the agency to become CEO of the Madison Square Garden Co. The two companies have worked together closely ever since O`Connor helped launch CAA Sports in 2006. Now an industry leader in athlete representation as well as property sales, CAA represents the flagship venue itself as well as several players on the MSG-owned New York Knicks, including star Carmelo Anthony. In September 2010, CAA negotiated MSG`s marquee partnership with JPMorgan Chase, which the agency has called "the most lucrative building deal in sports history." O`Connor`s hiring caps off a three-month search to fill the CEO vacancy left by Tad Smith, who departed at the end of March to become president and CEO of Sotheby`s. Executive chairman James Dolan has been serving as interim CEO. Also in March, MSG filed an initial registration statement with the U.S. Securities and Exchange Commission to split MSG Media (whose regional sports networks telecast more than 700 live games per year) from its sports and entertainment holdings, which include the NBA`s Knicks, the NHL`s New York Rangers, the WNBA`s New York Liberty as well as Radio City Music Hall and the Forum in Inglewood, Calif. The current Madison Square Garden Co. was spun off from Cablevision in 2010. 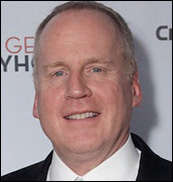 In addition to his leadership role within CAA Sports, O`Connor represents veteran showbiz clients including Bruce Willis, Lorne Michaels, Ivan Reitman, Douglas Wick, Gary Ross and John Lee Hancock. He has spent his entire career at CAA, starting in the mailroom in 1983 and becoming one of the agency`s managing partners and owners in 1995.